The program also includes Grondahl’s Concerto for Trombone and Orchestra, with the solo played by Amanda Davidson. Akiko Fujimoto began her appointment as Assistant Conductor of the San Antonio Symphony in January 2012. 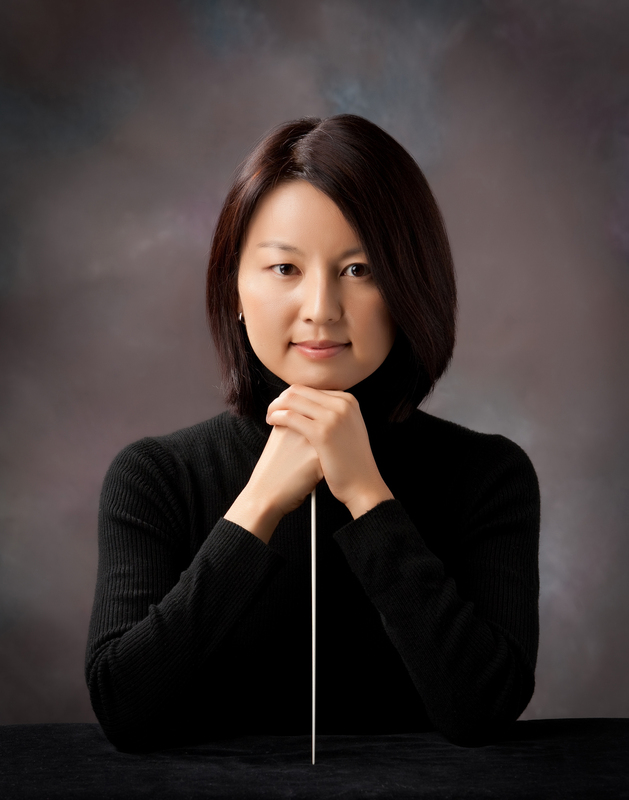 Hailed as “a very talented conductor who knows her score and her musicians” (Virginia Gazette), Fujimoto has most recently served as the Conducting Associate for the Virginia Symphony Orchestra, Music Director of the William & Mary Symphony Orchestra, and Music Director of the Williamsburg Youth Orchestras. A native of Japan, Fujimoto attended high school in California and graduated from Stanford University with a Bachelor of Arts in Music and Psychology. She holds Master of Music degrees in Conducting from the Eastman School of Music and Boston University. As a member of the Virginia Symphony conducting staff, Fujimoto conducted the VSO in classical, holiday and educational concerts including the Virginia Symphony’s 2009-2010 series of Young People’s Concerts and the Virginia Beach performance of the Classics concert featuring the world premiere of Behzad Ranjbaran’s Concerto for Violin, Viola and Orchestra. Fujimoto has also conducted the Fort Wayne Philharmonic and National Arts Centre Orchestra in performance, as well as conducted the BBC Scottish Symphony Orchestra as part of the Orkney Conducting Institute. Prior to arriving in Virginia, Fujimoto served as the Music Director and Conductor of the Mozart Society Orchestra at Harvard University where she led the MSO to many milestones, including performing with pianist and Mozart scholar Robert Levin.